The Snow Crown cauliflower is a delicious, mild and sweet hybrid. This cauliflower’s head will get to 7-8 inches across and 1-2 pounds. The Snow Crow is extra early and adaptable and can be harvested in summer or fall. Be careful not to under-fertilize or water, stress can cause a purplish discoloration on the undersides of the head. Cauliflower is a relative to broccoli and cabbage, and it is a cool-season vegetable, which makes it best for a fall harvest. It is a bit pickier than its green-budded relative, as it does not tolerate excessive heat or cold very well. Cauliflower requires consistent temperatures of around 60 degrees. 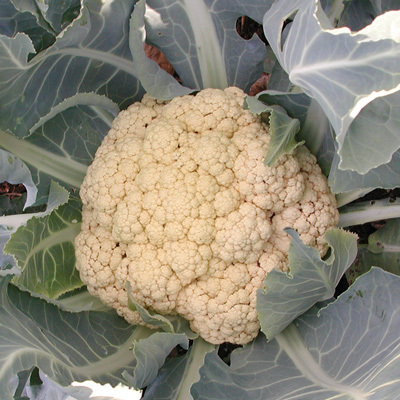 Before Planting: Cauliflower prefers a well-drained and very fertilize soil. Aim for a pH of 7.0 with consistent moisture throughout the growing season. Irrigate regularly for best results. Cauliflower grows best in spring and fall crops. Planting: Use early and midseason varieties for Spring growing. Sow 2 seeds ½” depth in each cell. Germinate at 70°F and then grow at 60°F thereafter. Wait for true leaves and leave best looking seedling per cell. Seedlings should be ready to transplant in 4–5 weeks. Do not wait too long to plant seedlings outdoors. 5 weeks is the oldest the transplants should be to avoid stressing the plant. Harden plants carefully by gradually increasing cold before transplanting out, 18″ between plants and 24–36″ between rows. Use midseason and storage varieties for Fall growing. Start seedlings as above in late spring and transplant to the garden in Summer. 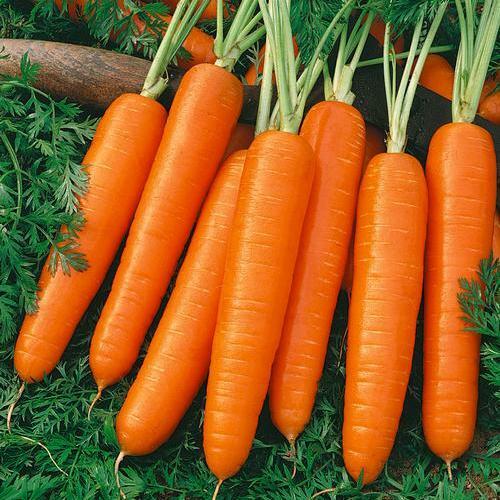 Sow 2-3 seeds 18″ apart, ½” deep, rows 24–36″ apart, thinning to one plant in each group. Watering: Cauliflower requires consistent soil moisture. Water 1 to 1.5 inches each week. Fertilizer: Prior to planting cauliflower seeds, add compost to the soil. This prevents “buttoning,” which is when a cauliflower produces smaller, button-shaped heads rather than a large, full head. For best growth, use a nitrogen-high fertilizer. 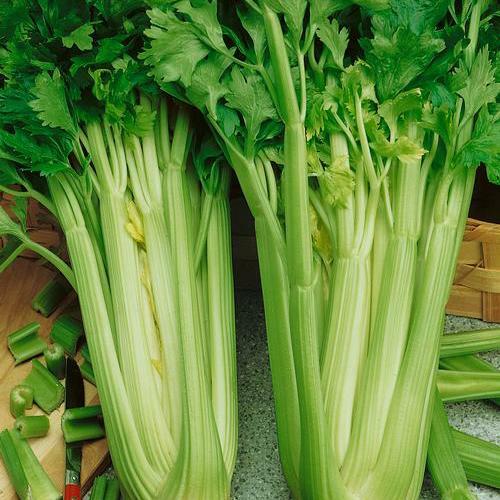 Days to Maturity: The plant should be ready to harvest about a week or two after blanching. Harvesting: Harvest heads when desired size is obtained but before the curds becomes loose and bitter. Store at 32°F and 95% relative humidity for 2–3 weeks. Tips: When small white curds begin to develop, gather up exterior leaves and wrap around heads and tie with a rubber band, this is called blanching. Blanching will help protect heads from direct sunlight and keep curds white rather than turning pale yellow with direct sunlight.